Done a guided rappel down a 150-foot gushing waterfall? Fun, but what’s next, you ask? Are you ready for the next extreme adventure adrenaline fix? How about waterfall jumping? Waterfall jumping is Costa Rica's version of cliff diving, but next to a waterfall. 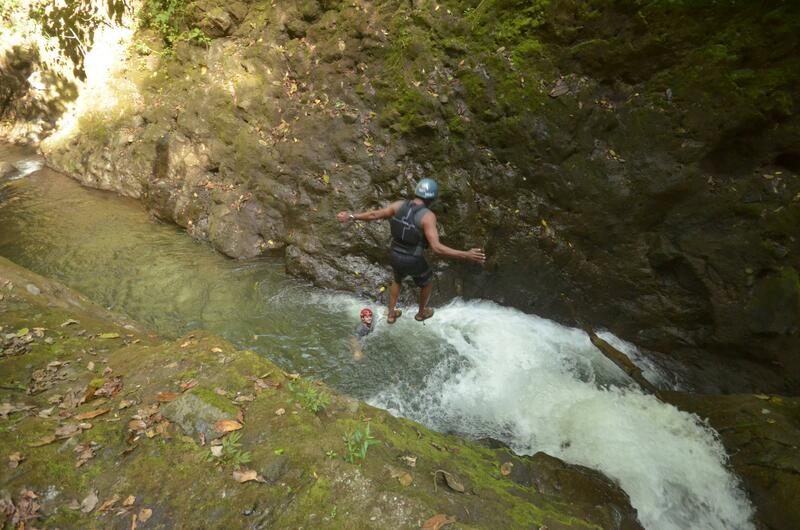 The newest most extreme adventure tour in Arenal is the new Gravity Falls Waterfall Jumping Canyon by Desafio Adventure Company. This intense canyoning multi-sport adventure involves waterfall jumps, waterfall rappels, river tracing, down climbing and river canyon swims. “People have been rappelling down waterfalls and going river rafting, and they’re looking for the next big adventure,” said Desafio Adventure Company owner, Christine Krishnan. 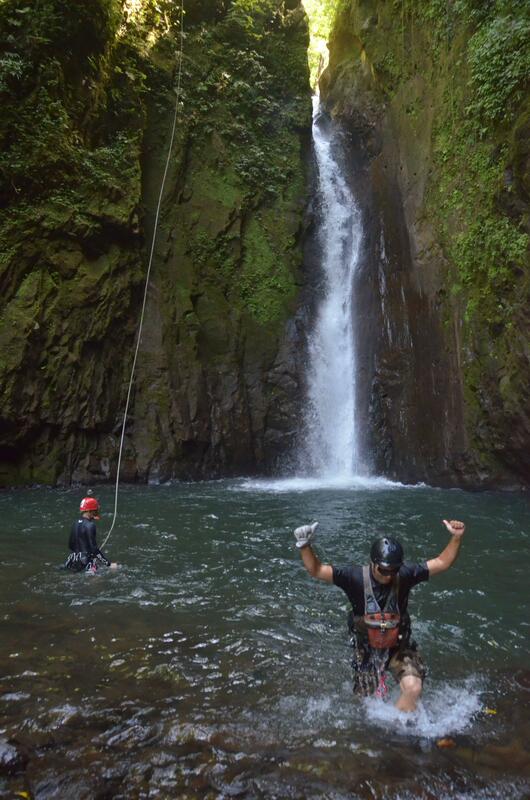 Canyoning - also called Canyoneering - the popular adventure sport of rappelling down waterfalls and traversing a river canyon is one of the top things to do in Costa Rica. 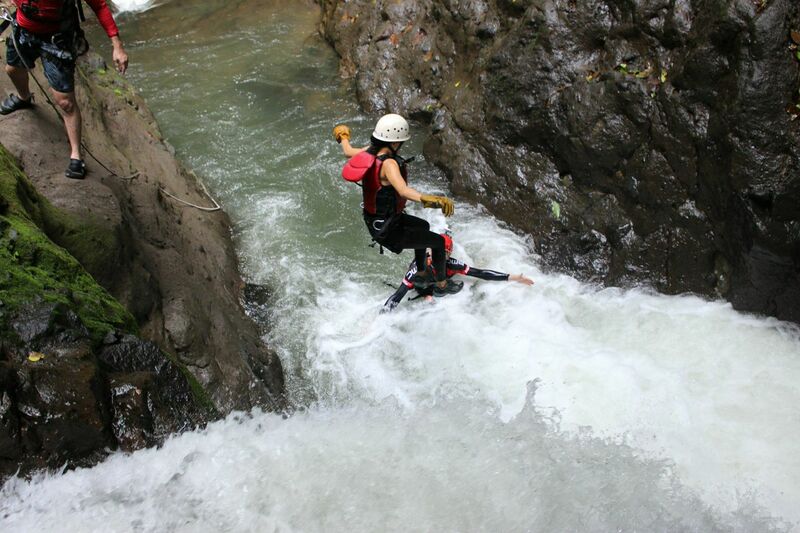 Called "Costa Rica's Most Extreme Tour". the Gravity Falls Jumping Canyon adventure, by Arenal Volcano, Costa Rica, is for extreme adventure enthusiasts and adrenaline junkies. you have to like the tour name's play on words too. "Jump off high canyon walls into deep, crystalline pools of water and rappel down rushing waterfalls!" reads the tour information. 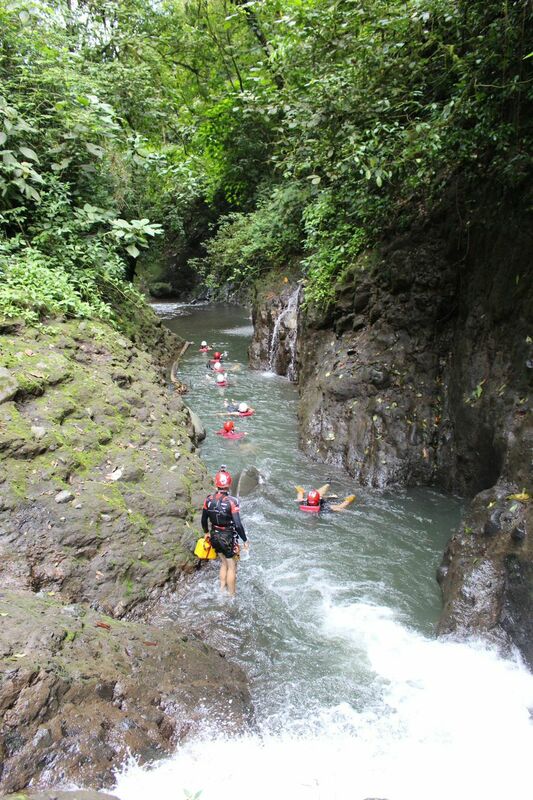 "We found the most amazing canyon near La Fortuna, minutes away from the Balsa River near Florencia." The isolated rainforest canyon is part of the biological corridor of the Children’s Eternal Rainforest, near the private entrance that Desafio Adventure Company uses for its Balsa River Rafting trips. The Costa Rica adventure tours company has an exclusive contract to operate there. Gravity falls involves an 80-foot rappel down the side of a rushing waterfall into a deep pool, five cliff-diving waterfall jumps ranging from five feet to 25 feet, a canyoning swim through a narrow passage, and other climbing adventures. 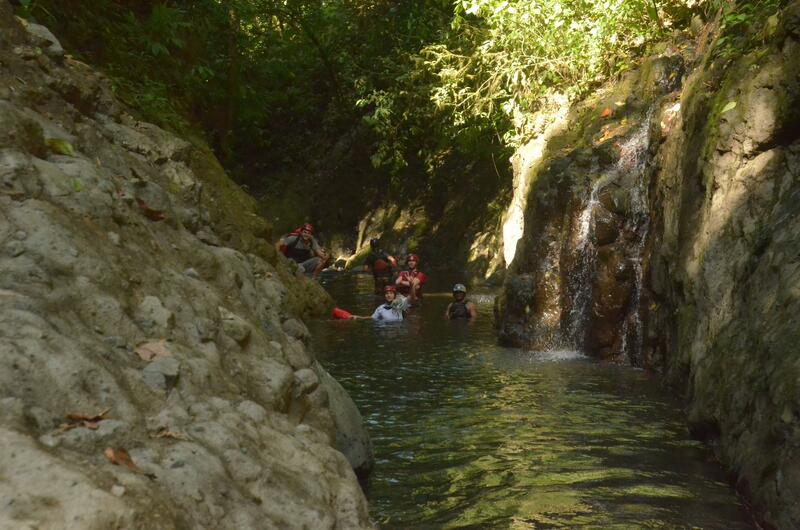 The four-hour Gravity Falls tour is uniquely for small groups of expedition-seekers, whereas the Lost Canyon Adventures Canyoning tour, Desafio's most popular adventure tour, is suited for first-timers who want to get their feet wet (literally) in canyoning. Desafio Adventure Company is an owner-operated, family business that operates Costa Rica adventure tours and vacations in many areas of the country.